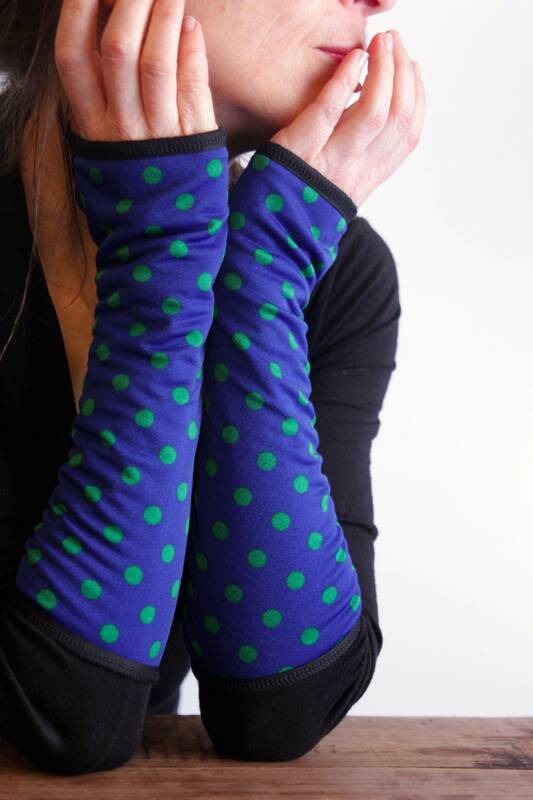 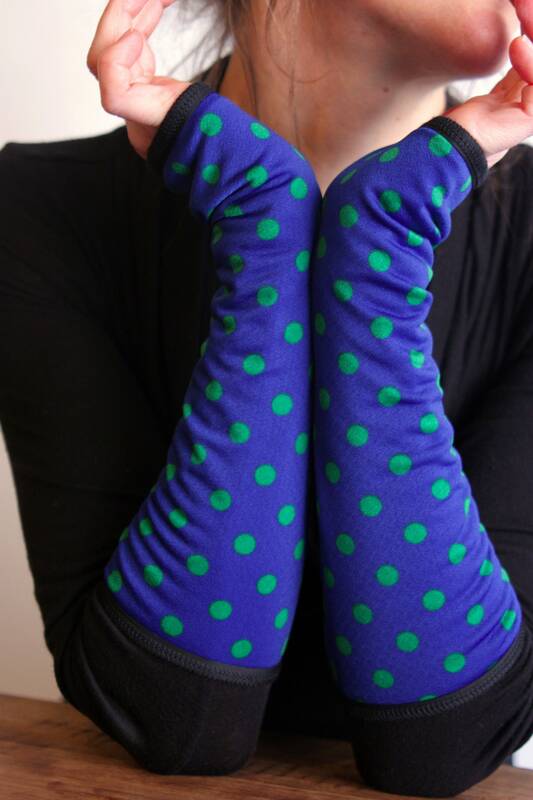 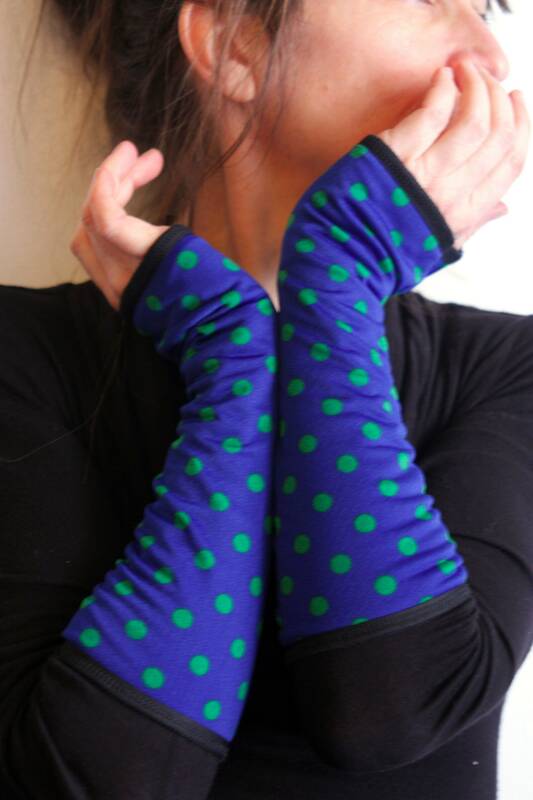 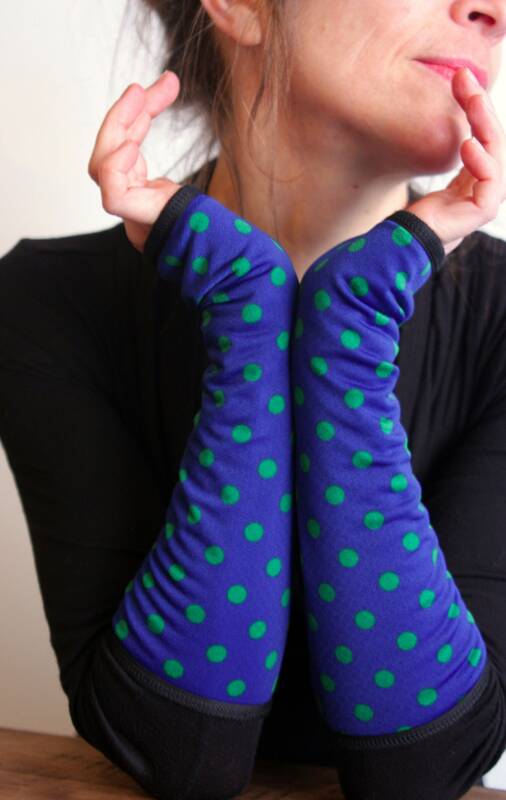 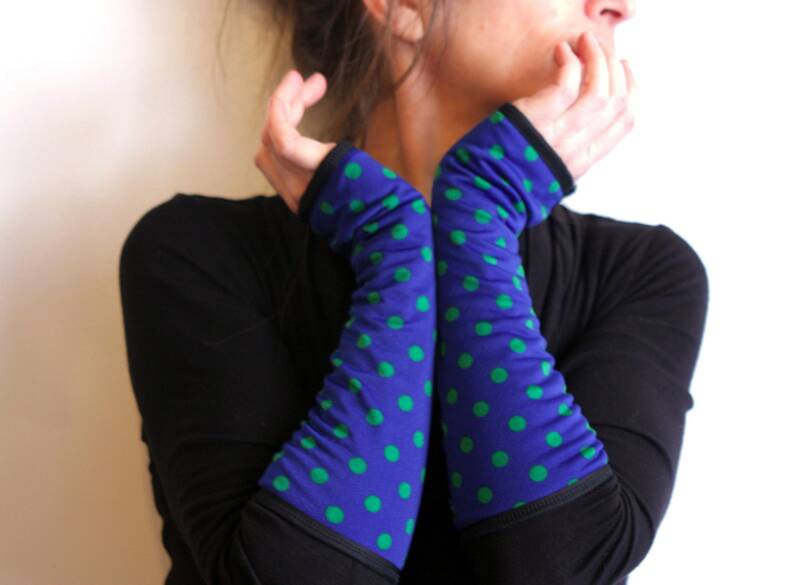 Long Mitt blue with green polka dots in Lycra. 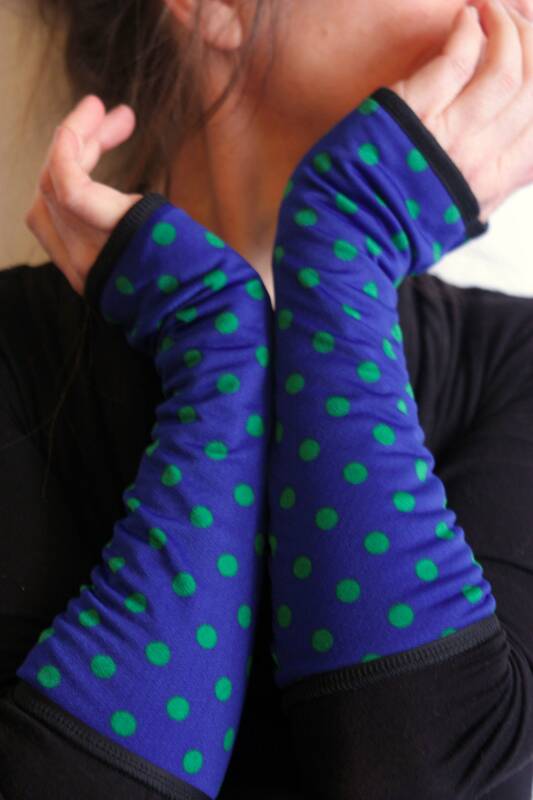 We choose to double our mittens in order to have a better quality accessory, warmer and with a good hold in time. 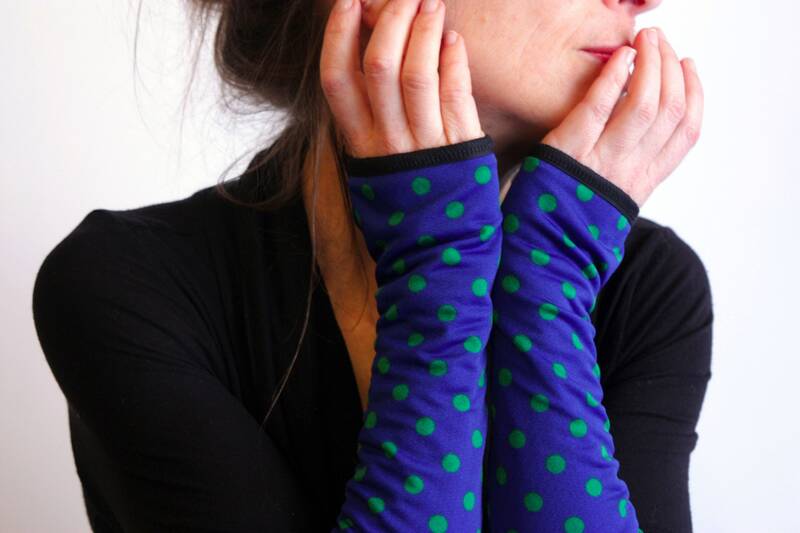 Slice of wool to cuffs, small it has become our favorite accessory.